it had been long since i've last did a lash review! 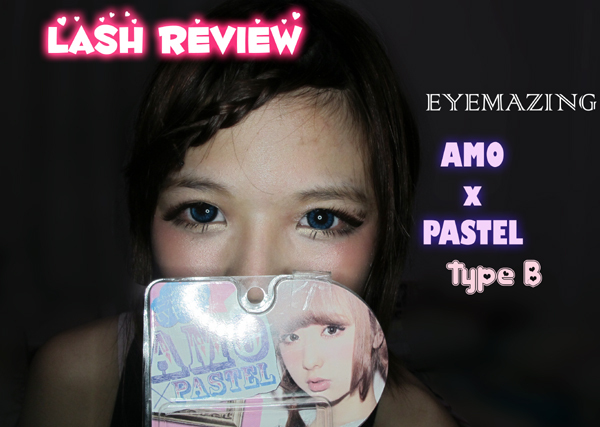 Today i'm going to review on EYEMAZING X ZIPPER Amo X Pastel Type B. Ever since i've got in touch with the harajuku fashion, i'm intrigued by their makeup and how they managed to loooook sooo super stylish even with simple clothes! so, i'm really eager to try on Amo's creation! AND especially when it's BROWN lashes!! love how the brown lashes make the falsies look less harsh. the strands seem to be adhered tightly to the stalk. 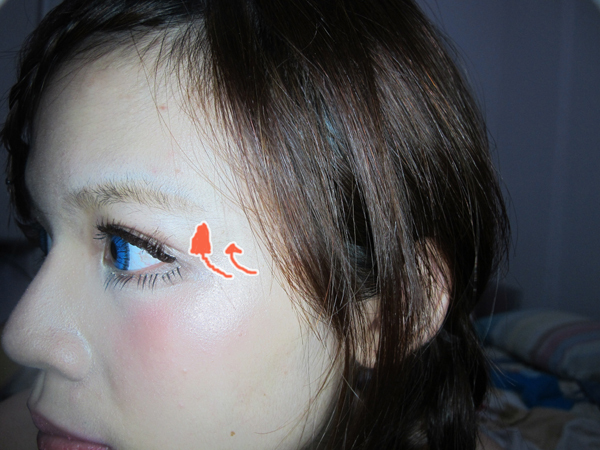 so when u do a droopy eye look, it would still help to extend the width of your eyes. Although it's a partial lash, it's still thick enough to define your eyes. Love the brown. It tends to make the eyes looks softer. as you can see, it curl up and does not block your eyes. the stalk is transparent and soft, the lashes are very light too! These are really cute and sweet lashes. However my natural lashes are toooooo short to put off the partial lash look! despite that, it makes my eyes look big nevertheless! 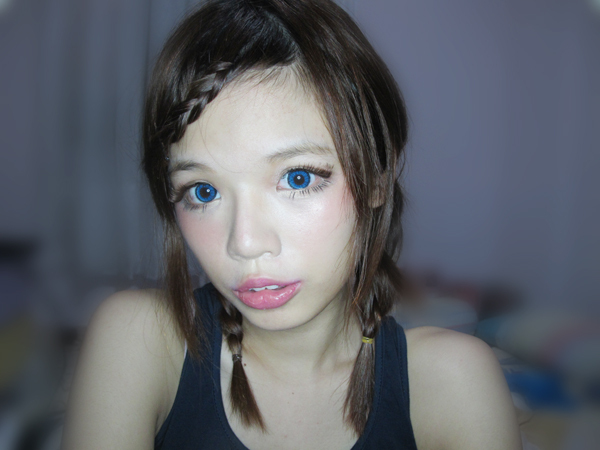 If you wanna try on these lashes, you can purchase them from WATSONS! Will be posting the makeup tutorial for this look next! I've never tried brown lashes before! But they look really sweet on you! Wow the brown lashes look really nice. I've been meaning to try the EyemazingxZipper lashes. wah~they look lovely on you! 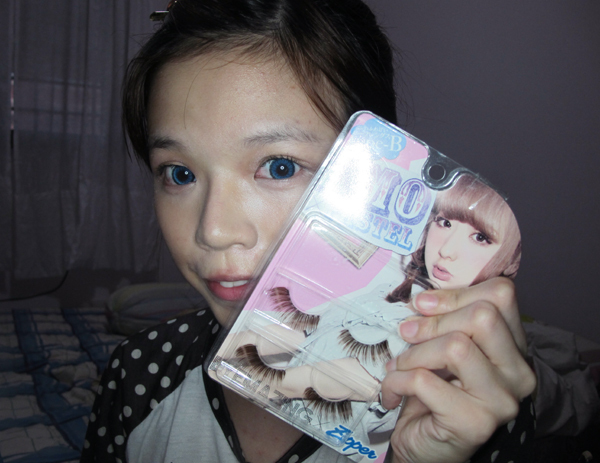 Been looking for Japanese lashes too! !